From that date, organisations, businesses and individuals will have more choices to consider. Along with the existing domains, like .CO.NZ, .NET.NZ and .ORG.NZ, they will be able to register shorter and more representative names within the second level directly under .NZ. The decision to introduce registrations directly under .NZ has been made following a series of public consultation sessions. It is worth noting that numerous holders of existing .NZ domain names may be able to get the shorter equivalents of their names by taking advantage of the Preferential Registration Eligibility (PRE). 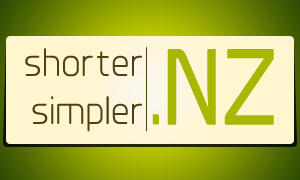 It is a six-month period, beginning 30 September 2014 and ending 30 March 2015, during which they can register or reserve for two years the shorter version of the existing .NZ domain names. It will also be the time to handle any conflicted name issues. Other national domains, like .UK, have also extended a range of extensions to the applicants, including the registration directly under .UK. If you would like to register a domain name within the .NZ extension, please click on the domain to check the name availability. If you already own a .NZ domain name and wish to check what options will be available to you upon the introduction of second level domain registrations, please feel free to contact our Support Team at Support Team at support@web-solutions.eu or via phone on : +44 (0) 208 133 3994.